OMG Posters! » Archive "Shackled" Art Print by Jeff Soto - OMG Posters! No comments and still available, what in the wide wide world of sports is going on? This is fantastic work from an amazing artist. Uhh…almost all of Soto’s “Fine Art” prints are giclees and sell out pretty quick. No way could you get that detail or colors into an affordable screenprint. Weird this one is still around as it’s one of his better images. 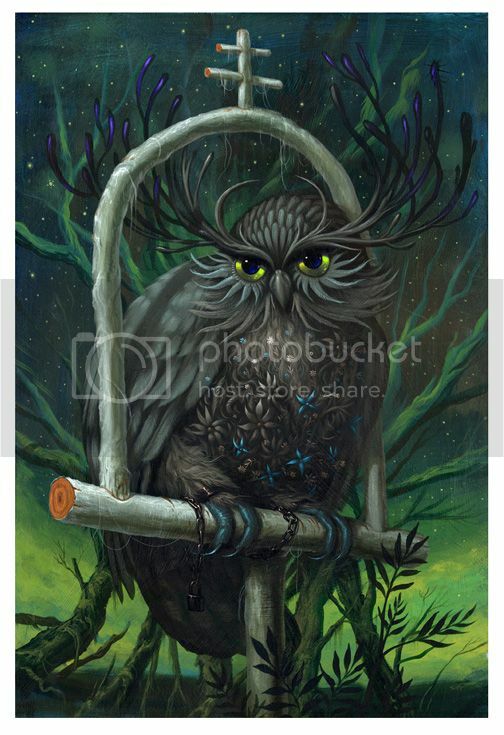 $160 is pretty fairly priced for a pretty dang big giclee of that size from Soto. I was quite pleased that this was only $160. besides the image what’s so special about this? soto’s fine art prints tend to have very low production number, and they’re normally priced around $150-$175. looks like the norm with this one. I think its awesome ! Like it, but it’s rather big and awkward to frame. I bought one, and i think its one of my favorite pieces he has ever done..